The Lord instructed me to read Jeremiah 51 and He instructed me to insert the words that He told me to write. These are in parenthesis to aid in understanding the judgment on America. 3 Against her (America) let the archer bend his bow, and lift himself up against her in his armor. (The enemies of America shall be protected as they fire their weapons upon the land.) Do not spare her young men; utterly destroy all her army. 4 Thus the slain shall fall in the land of the Chaldeans, (Americans) and those thrust through in her streets. 8 Babylon (America) has suddenly fallen and been destroyed. Wail for her! (This I speak to the nations, pray for the remnant!) Take balm for her pain; perhaps she may be healed. 9 We would have healed Babylon (America), but she is not healed. (America has not been great for a long time and will NEVER be great again, because she is the most wicked nation on the face of the earth, yet the people say “God bless America.” The God that blesses America is not I AM.) Forsake her, and let us go everyone to his own country; for her (America’s) judgment reaches to heaven and is lifted up to the skies. 12 Set up the standard on the walls of Babylon; make the guard strong, set up the watchmen, prepare the ambushes. For the Lord has both devised and done (I AM speaking prophetically, it is already done!) what He spoke against the inhabitants of Babylon (America). 23 With you also I will break in pieces the shepherd and his flock; with you I will break in pieces the farmer and his yoke of oxen; and with you I will break in pieces governors and rulers. 35 Let the violence done to me and my flesh be upon Babylon (America),” The inhabitant of Zion (Jerusalem) will say; “And my blood be upon the inhabitants of (America) Chaldea!” Jerusalem will say. 36 Therefore thus says the Lord: “Behold, I will plead your (Jerusalem’s) case and take vengeance for you (Jerusalem). I will dry up her (America’s) sea and make her springs dry. 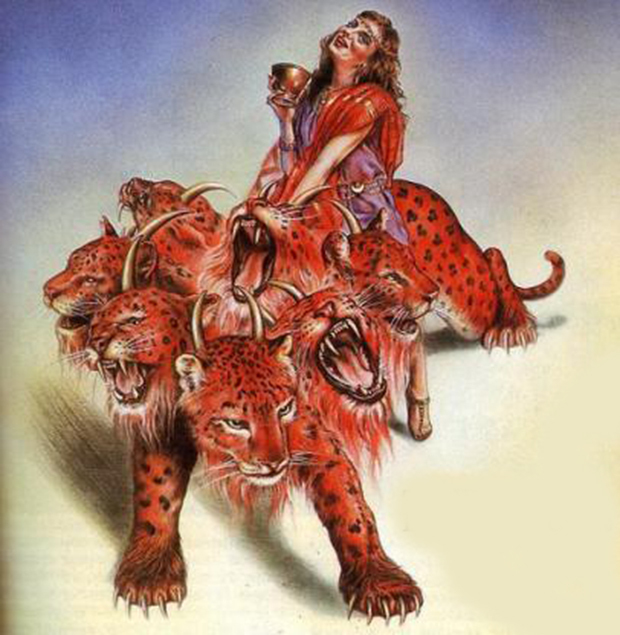 37 Babylon (America) shall become a heap, a dwelling place for jackals, an astonishment and a hissing, (expression of contempt or derision) without an inhabitant. 40 “I will bring them down like lambs to the slaughter, like rams with male goats. 41 “Oh, how Sheshach (Babylon America) is taken! Oh, how the praise of the whole earth is seized! How Babylon (America) has become desolate among the nations! 44 I will punish Bel (those that worship idols) in Babylon (America), and I will bring out of his mouth what he has swallowed; and the nations shall not stream to him anymore. Yes, the wall of Babylon (America) shall fall. 47 Therefore behold, the days are coming that I will bring judgment on the carved images of Babylon (America); her whole land shall be ashamed (humbled), and all her slain shall fall in her midst. 49 As Babylon (America) has caused the slain of Israel to fall, so at Babylon (America) the slain of all the earth shall fall. That is when Jeff started seeking the Lord with abandon and putting Him first every morning in worship and prayer. Suddenly the sins he had been struggling with for so long just vanished and God began speaking to him on a regular basis. In August of 2015 the Holy Spirit impressed on him to begin writing drown the messages, so he started two blog sites called Holy Spirit Wind and Whistle Blower Jeff. Pastor Benjamin Faircloth’s latest sermon ‘Hijacked’ about America’s future, frankly all of his sermons have focused on America’s fate. Lyn Leahz also has a new video out about Yellowstone. I had a weird experience the other day, not really weird, but it was something I felt before 911 happened, and kept feeling. Don’t laugh now, but God has a way to get my attention using whatever it takes sometimes. I have been baking alot of cakes lately in my bundt pan for our fishing trips, and the other day, I was looking at his pan and I got a very disturbing feeling looking at the middle of the pan where the hole is. Later when I starting seeing all the articles on Yellowstone waking up, I put it together. The pan reminded me of the caldera and the hole in the center gave me the feeling that this volcano is waking up soon and will erupt. I know this sounds crazy, but before 911 I kept seeing apples, and I got the same feeling that something really bad was coming connected with that, the ‘big apple’, New York City. That was way before my knowledge increased in spiritual things, now I take note when something like that happens. I pray and research and I know this is true and I have received several confirmations lately too. I have seen these things you’ve mentioned. Within the last month, I keep seeing 333. Have others of you seen this combination of numbers? Yes, all the time. Always reminds me of Jeremiah 33:3, ‘Call to me and I will answer you and tell you great and unsearchable things you do not know. Hi Christine, I have been seeing 444 all my life, but lately I have been seeing everything from 111 to 333 as well consistently. Alot of times in the evening I will look up at the clock and will see 911. That one really tells me an event of some kind is coming. I don’t know, I think the ‘3 days of darkness’ will be something much larger like the Planet X system blocking the sun, or an asteroid impact. But it could indeed if an eruption is large enough. An interesting book to read is on the Tambora volcanic eruption in the 1800’s, in Indonesia. I felt led to get that book and read it just recently. It will give you a good perspective as to what to expect if this thing blows. nancy – there is no biblical reference for three days of darkness. im not saying it cant or wont happen im just saying that there isnt any reference to it. and if niberu does do a fly by then using joshuas long day as a reference then it will only be an extra few hours of daylight or darkness depending on what side of the planet your on. however adding to the mix would or could be the dust and smoke raised by asteroid impact and volcanic eruption. Thank-you very much for sharing, Nancy. I totally understand and believe what you are saying. I hope that didn’t sound to ‘crazy’ Peggy! But that is how I get things sometimes. Something interesting, I just happen to turn to Jim Bakker’s show this morning and he had Perry Stone on there, and just at the moment I tuned in he recapped on something he said about ‘an event so large coming soon that will impact millions of people’. He said what God showed him (Perry Stone) was so scary he couldn’t even share it with the public. I don’t think it was an accident that I tuned in when I did. I feel on ‘high alert’ lately for some reason. I have also become suddenly interested in Yellowstone! I watch for news on it every day. I have no logical (fleshly) reason why. God is awakening His bride! Perhaps you heard about the “swarm” of earthquakes that struck Yellowstone on 6/14/17. I’ve been watching Yellowstone for months before that. Since late March. Heather, Thank you for letting me know that! You dont even know how hard of a time I had answering you. I had to resort to using my back email address and I prayed all day long that my reply would reach you. There was a lot of spiritual warfare involved! God Bless you Little Dove! Thank you as always sister Sheri, you always such an encouragement to me. I will share a link to mt Hope and the Final AntiChrist message on Lydia’s message. Love and Peace my beloved sister! Hi Little Dove, this is my take on it, the Bride of Christ is used as a figurative explanation for the whole body of believers, of which Christ is the head, who will one day be joined together for all eternity (in a love covenant) to rule and reign with Christ as Kings & priests [and citizens] of God’s Kingdom of heaven, Jesus spoke the parable of the labourers in the vineyard, some had been labouring all day, some had only come in at the last hour yet they all received the same reward. Matt 20. Concerning sin, this is something every believer contends with, don’t believe for a minute that there is a state of sinless perfection that can be achieved while we still are in our corruptible flesh bodies, Paul speaks to this in Romans 7:19, although we should strive to achieve this by overcoming the sin in our lives with the help of Christ in us, (P..S watch out for the trap of ‘legalism’, I fell into that one). Persevere through the trials, don’t give up, 1 John 1:9 is a Blessing. Thank you Simon for this explanation -Jesus IS our reward indeed !! I would like to add to Jeff Byerly’s comment. As I was reading Leviticus 13, The Lord showed me that if any man has a kind of boil, a bright spot on the skin, the priest had to examine it. IF THE BOIL IS DEEP UNDER THE SKIN, PENETRATING IN THE FLESH, THEN THE MAN WITH THIS DISEASE iS CONSIDERED UNCLEAN AND IS SHUT OUT FROM THE POPULATION AS IT IS A LEPROSY, A SERIOUS DISEASE. If not, he would be shut in just for 7 days or at the most two weeks and then let out as it is just a scab and hence the person would be clean but HE HAS TO WASH HIS CLOTHES AND BE CLEAN. I hope you know what I am trying to say. This chapter has a lot of spiritual significance. Please do not get me wrong. I am not suggesting that a sinner has to be examined by a pastor or some elder (though I am not against it if the pastor or an elder is a true servant of God and that he could be of great help). The key is, if the sin in our lives has gone very deep (in flesh) then the issue is really serious and it has to be dealt with severity. The whole chapter of Lev 13 would give pretty good idea. Thank you for sharing this powerful word Jeff. It lines up with scripture (clearly) and confirms what I have been hearing from the Holy Spirit regarding America’s Fall. He has often led me to Jeremiah along with Ezekiel and Isaiah as well as other books in the Bible. The message is always the same, “Destruction and Judgment are coming! Repent!” If it’s not a personal word to me, He leads me to these passages without fail. My heart breaks for America. The closer we get the more intensely the grief grips my heart. I’m doing what I can to share the gospel and the love of Jesus Christ, but, I know many will not turn to Him in time. They just won’t listen. They love their sinfulness and worldly comforts too much. Even a large portion of the Church is guilty of it. I don’t understand how anyone can continue to celebrate and go about life as if nothing will ever change here. I realize that the end times will come just as it is written in Revelation. I realize that we are in the midst of a great deception and a falling away of the elect, but, shouldn’t we as the Church be on our knees, clothes torn in grief, crying out to the Lord in repentance? Shouldn’t we be crying out for mercy and forgiveness? Shouldn’t we be desperately trying to wake up the masses to the sinfulness of this nation and the coming judgment? I don’t understand…. Michael, I feel the same way. Sometimes as I am praying, I just start sobbing and wailing. I feel so much pain coming. I feel so alone because even my strongest Christian friends get upset when I try to tell them what I believe is soon to come. They say that Christians are not going to be judged that we are saved by grace and that we will be taken out before the bad stuff comes. Most of them dont even answer my phone calls as they know that I will say something negative. If I try to talk to a pastor about how I am feeling, they look at me like I have a demon living in me or something. This waiting is agonizing but reading about the destruction that is coming is also hard to comprehend. I am praying that God will give me the strength that I need when this time comes. Greetings Bonnie – Am moved by your words and Pray – ABBA Father, Glorious God, In the Name of your Son, Jesus Christ I speak Words of Life over and into Bonnie, please continue to place your Heart of Mercy into her and ask that the Fire of your Holy Spirt continues to release your Light to all around her. May your Mighty Wings surround her and her family as we witness Your Word beginning to be fulfilled upon the earth. We Praise Your Name and lift It up Your Name above all Names! Come Lord Jesus. Amen. John 6:63 (NKJV) It is the Spirit who gives life; the flesh profits nothing. The words that I speak to you are spirit, and they are life. Thank you Stephen. I really appreciate your prayers. Yes Michael, the church should be doing all of those things but they are too busy denying that judgment is coming and that everything is just fine and dandy, business as usual. I pray the judgments wake the churches up or most in them will be lost. Greetings Jeff………. you said: “I pray the judgments wake the churches up or most in them will be lost”. When I read that part it dawned on me that “by inference” they are lost already as they stand……for if serious revival or awakening doesn’t smack them in the face, they are already in a lost condition. This is grievous. Matthew 7:13 Enter in at the strait gate: for wide is the gate, and broad is the way, that leads to destruction, and many there be which go in thereat: Because strait is the gate, and narrow=IN TRIBULATION, is the way, which leads to Life, +and few there be that find it.+ Beware of false prophets, which come to you in sheep’s clothing, but inwardly they are ravening wolves. Today’s “titled” ones from the unholy divisions or denominations. 1Peter 3:20 Which sometime were disobedient, when once the long suffering of God waited in the days of Noah, while the ark was being preparing, wherein few, that is, eight souls were saved by water. But the Essence of the Good News is that God Will Reconcile all. But each person, according to God’s Time table. The entirety of His Words Tells us this. I was touched by the cry of your heart and the scripture that came to my mind was about how the whole world is moaning and groaning (we, too), waiting for the manifestation of the sons of God which is us in full maturity. Jesus did not begin His ministry until AFTER He was tempted by the devil in the areas of the flesh, the world, and the devil. The remnant is called to overcome in all three areas before we can reach the world as your heart is crying out to do. The Pentecostal anointing is not sufficient to do this-… WHEN we fulfill the Feast of Tabernacles,-… when the Day of Atonement is symbolically worked in us (forgiving everybody and everything that has ever hurt us or hurt those in our family line and anybody else), THEN we will see the work done we’ve been called to do.. even the prize of the high calling will be ours. Hallelujah! Take heart that until then, we still can and do reach a few. May we grow up QUICKLY for the hour is late. Shalom, love, blessings and much light be given to you and to all of us. Rev. 14:8 says: “Babylon is fallen, is fallen, that great CITY, because she made all NATIONS to drink of the wine of her fornication.” Please take note my brethren, that Babylon is a city, NOT a nation. This great “city” or “organized system” is referred to as “the mother of harlots and abominations of the earth.” She, the Harlot church (organized religion) stands in contrast to the city of Jerusalem which symbolically represents the pure bride of Christ. We are told to come out of her- Not come out of any country on the face of the earth, but out of the religious system where there is MIXTURE- where the truth is perverted. The voice of the bridegroom is not heard in her. So where do we go when we come out of Babylon?- We go to ZION, which symbolically represents the Holy and blessed hill of the Lord’s habitation… NOT literal Zion. The Philadelphian church (the church of brotherly LOVE) is kept from the hour of temptation… Our safety is dwelling in love my brethren, not in fleeing to another country. Babel, Erech, Accad, Sumer, Assur, Calneh, Mari, Karana, Ellpi, Eridu, Kish, or Tikrit. All of the literal references in Scripture are in Arabia. Jim Willie makes mention of the House of Saud falling, the “Arab Spring” will come to Saudi Arabia also. God bless you for your faithful obedience Jeff. Not easy to deliiver these hard words. But they are right there in Scripture. They are about America. Gods true prophets must sound the warning cry out over the land. Whether the cry is heeded or not, it must be given regardless. I am expecting to hear before long, that some in sackcloth and ashes have been seen in America. Weeping and wailing should arise. Those who see this coming, who hear His voice. The response should be as in Ninevah. My prayers are for all of you in America today. May your hearts be broken for what breaks the Fathers heart. This is the season for mourning. Let the intercessors rise. It is not easy to see what is happening to the country in which I live but very few are listening and repenting. The Lord has to bring judgment so that the few that will repent do it, otherwise almost all would be lost. The HAS MERCY in His judgment. Oops should read The LORD HAS MERCY in His Judgment. This is a powerful message. Thank you for sharing this vision with us, brother. Praise Jesus! LA Times reporting 238 busted in in connection with a Hollywood pedophilia network. Thank you Jesus for taking down people who hurt the children!!! I’m not sure why they would post this article twice, but the date on the L..A. Times article is June 21, 2016. Breitbart had an article dated 2016 as well. Praying that law enforcement is continuing to take down these predators! That’s awesome news. Thanks Elizabeth. Powerful word Brother Jeff, Thank you for your faithfulness with the messages of God’s word. Last year I got a strong word about this last generation who the devil thinks he is claiming. I was given Jeremiah 50, also about Babylon. Confirmation for me, thank You. We must engage in spiritual warfare for our children because the fight is ON! I will not give in! Truth! For, the last year I can’t tell you how many times I have been lead to read Jeremiah 51 or how many times I have opened my Bible automatically to it. God have mercy on us all. Thank you for that confirmation Brandy!